Housed in the Palais de Chaillot, the Cité de l'architecture & du patrimoine (Architecture & heritage centre) offers a fascinating overview of architectural heritage from the Middle Ages to the present day. Come and discover scale models of architectural, civil and religious masterpieces from various periods and towns and life-size reproductions of original major wall paintings. 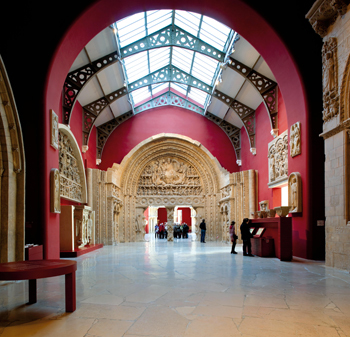 We have gathered some of the finest pieces of French architecture and art, all under the same roof! 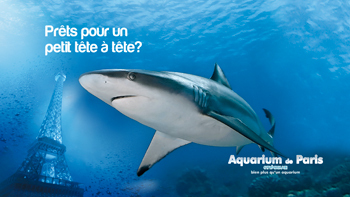 The Paris Aquarium offers young and old alike the chance to discover the world under the sea with more than 10,000 fish and invertebrates, including around twenty sharks! Bring your family to take part in workshops and educational activities and take the opportunity to discover the regularly organised performances and exhibitions! 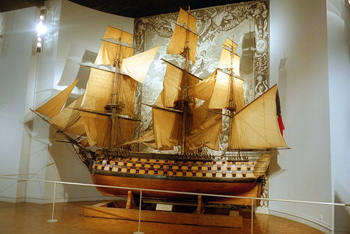 One of the oldest maritime museums in the world, the Paris Naval Museum displays an amazing collection of model boats, paintings, sculptures, works of art and precious items, including the “Canot imperial”, an 18 m long barge belonging to Napoléon 1st and built in 1810. Keep in mind that the Naval Museum regularly organises temporary exhibitions ! 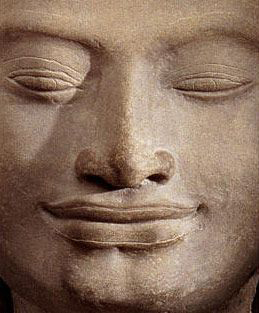 One of the largest in Europe due to the sheer diversity of its collections, the Guimet Museum of Asian Art organises temporary exhibitions and also proposes numerous cultural activities, performances and training courses. When you visit the Guimet Museum, seize the opportunity to visit the Buddhist Pantheon galleries and the Japanese garden where you can discover the tea ceremony! A "must-see" attraction when visiting the French capital, Paris-Story promises you a one-of-a-kind multimedia experience which takes you on a virtual journey through the city of Paris and its history. 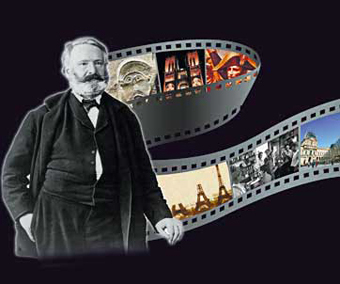 A historical fresco projected on the big screen (available in 13 languages) will help you to discover or rediscover the City of Light, from Lutetia to the major changes of the 20th century, in the company of a very famous guide : Victor Hugo ! One of the most famous Parisian theatres, the Théâtre Saint-Georges has hosted, since its inauguration in 1929, many famous actors and stage directors (Mary Bell, Jacqueline Maillan, Marcel Achard, Pierre Brasseur, Pierre Mondy, Sophie Desmarets, Caroline Cellier, André Dussollier, Maria Pacôme ...). Also known for being the setting of the film "The Last Metro" by François Truffaut, the St. George Theatre today hosts many plays and shows that are well worth seeing! The Salon Chiens Chats invites you to chose the cat or the dog that warms your heart from more than 600 cats and 300 dogs and discover the latest trends related to pets. This is an event for all animal lovers! For several years now, the Salon Naturally has brought together many exhibitors who come to create a display with a large variety of organic products. There is also the opportunity to attend workshops and conferences dedicated to nutrition and health. 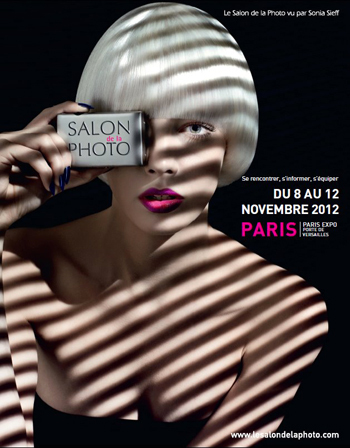 Dedicated to both professionals and amateurs, the Salon de la Photo brings together all the key players in the world of photography and presents the latest technological innovations in terms of shooting, printing and digital retouching. Seize the opportunity and discover the demonstrations, workshops and do not hesitate to participate in the debates organized especially for you! Every year, the Salon Retromobile rises to the challenge and manages to amaze their audience and the collectors arriving from all over the world. This event is made for vintage car lovers who get the chance to see emblematic collectors, extreme auctions, indoor and outdoor events, clubs, car makers, artists and vendors all in the same place! 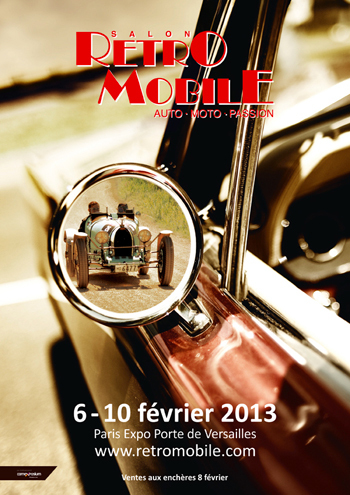 More than 400 exhibitors are taking part in the Salon Retromobile and we promise you an unforgettable experience! 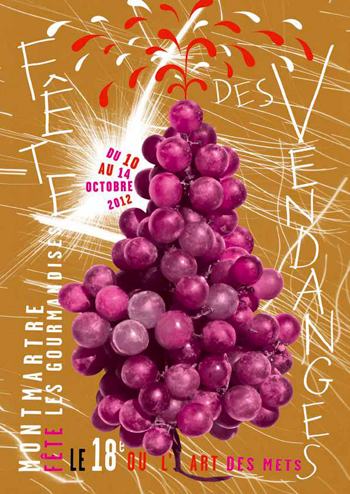 An annual celebration of wine production at the Clos Montmartre vineyards, Fête des Vendanges de Montmartre is one of those events that cannot be missed when visiting Paris. Join one of the guided tours around the vineyards or one of the tastings; witness the traditional Grand Parade and discover exhibitions, concerts, street performances, fireworks and much more! 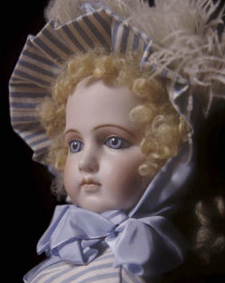 The Musée de la Poupée-Paris features a magnificent permanent collection of antique dolls ranging from 1800 to 1945 and regularly organises interesting temporary exhibitions as well. The dolls on show here in the various exhibition rooms are not only children’s toys, but also educational and decorative items or dolls from the fashion industry, all reflecting society at a given period. The Musée de la Poupée never fails to capture the imagination of both young and old alike. 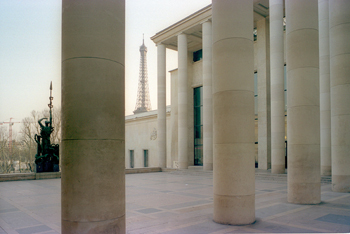 Since 2002 the Palais de Tokyo has been home to a contemporary art centre. Renovated and extended in early 2012, it is, today, one of the largest sites dedicated to contemporary art in Europe. Come and discover their exciting exhibitions and attend one of the many conferences organised at its headquarters. Dating back to the 17th century, the Manufacture Nationale des Gobelins is a famous producer of tapestries and dyed products. Today, tapestries used to decorate public buildings are still manufactured here. Its gallery, which was reopened to the public in 2007, holds numerous exhibitions through the year. The Centre Pompidou was founded thanks to President Georges Pompidou’s desire to create an original cultural institution in the heart of Paris, devoted to modern and contemporary visual culture in all its forms, with the goal right from the outset of providing the largest possible number of people with access to modern artistic creativity. It boasts Europe's largest collection of modern and contemporary art, including visual arts, design, architecture, photography and the new media. 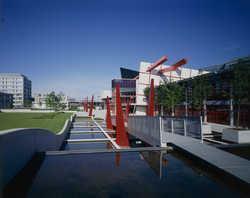 Covering 55 hectares and crossed by the Canal de l'Ourcq, the Parc de la Villette is the largest park in Paris. 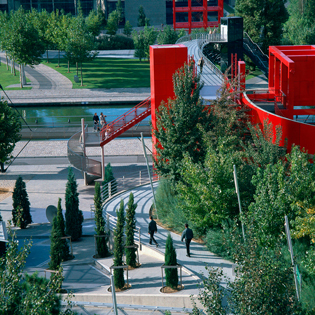 A popular attraction combining both nature, architecture and culture, the Parc de la Villette is home to a number of important cultural sites including the Cité des Sciences et de l’Industrie, the Géode, the Paris Zénith, the Cité de la Musique, the Grande Halle de la Villette, or the concert hall Le Trabendo. 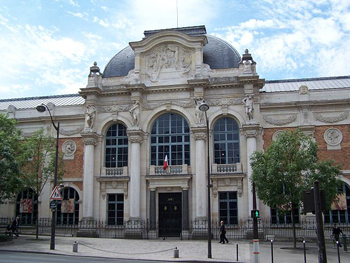 It also hosts several cultural events such as the outdoor film festival or the Jazz à la Villette jazz festival and the Villette Sonique music festival. Web platform dedicated to all stakeholders of fashion, beauty and luxury, ChicBook references agencies, professional brands, photographers, models, hairdressers, makeup artists, designers, and creates the synergy between them. 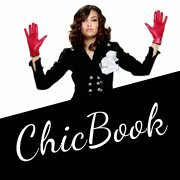 More than a website, ChicBook.com is a veritable artistic showcase. 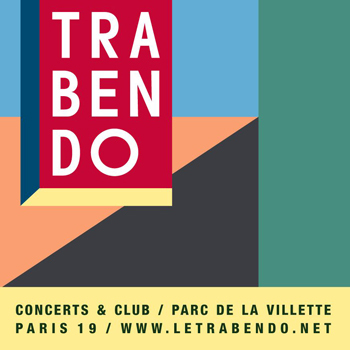 Located in the heart of the Parc de la Villette, Le Trabendo hosts many concerts and shows all year long. Dedicated in the 1990s to jazz and black music, this renowned Paris concert hall has welcomed great artists such as Steve Colemen, Ben Harper, George Clinton, Metallica, Green Day, among others. With a capacity of about 700, it now hosts concerts for a variety of genres, including rock, folk, electro, reggae, just to name a few. Paris Weekender is a collection of ideas for those in Paris on the weekend: both for staying put and getting out of town. The site includes ideas for activities in Paris, day trip and weekend trip itineraries, Paris restaurant and bar recommendations, and much more! Situated just a stone’s throw from the famous Avenue des Champs Elysées and the Arc de Triomphe, the Arc Elysées hotel looks forward to welcoming you in a warm, friendly and refined setting. Its location in the very heart of Paris’ luxury and business district puts you within easy reach of numerous attractions, whether you’re in the capital for business or pleasure. Created in 1987 and placed under the authority of the State Secretary for Tourism, Maison de la France is an Economic Group of Interest that promotes France, as a destination, to the rest of the world. Situated within easy walking distance of the city's major attractions ( the Opera, Sacré Coeur, Moulin Rouge…), business centers (Lafayette, Printemps…) and major train stations (Gare du Nord, Gare de l'Est, Gare Saint-Lazare...), this hotel provides comfort in its 50 rooms elegantly decorated according to modern lifestyles and equipped to satisfy every requirement of its guests. Every room is sound proofed and equipped with a hair dryer, a telephone, a safe and satellite TV. Some of those higher up have a balcony and a terrace. Feels Like Home in Paris offers fully-furnished vacation rentals in Paris - locations on Paris' right bank, Montmartre rental specialists. Expect the best and come feel like home in Paris. Hotels give you a room, we give you a home. Paris By Scooter offers guided tours of Paris on scooter. Astride your Vespa you can tour Paris or go to Versailles to visit the palace, with an experienced guide, for 1h30. 4 guided tours are available, private or with a group. 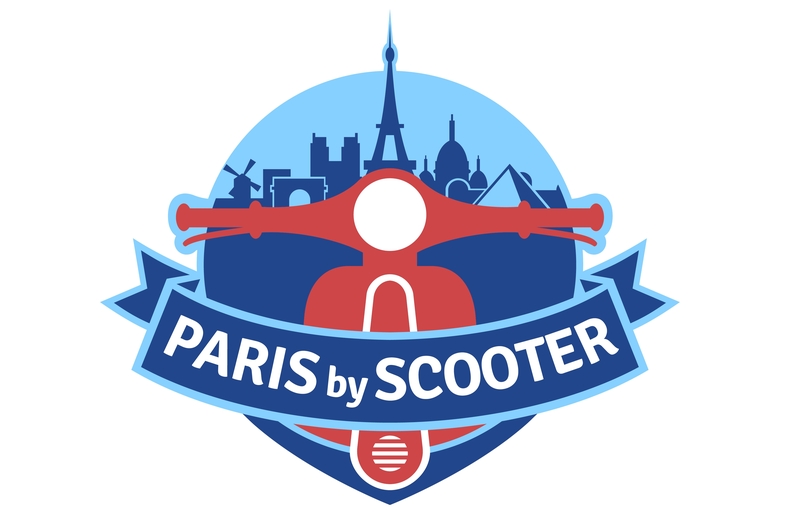 A scooter rental service is available in Paris, GPS is an optional extra. The service includes pick-up and drop-off at your accommodation. Looking for apartments in Paris? Holiday rentals (from 3 nights) or short term/long term rentals? The ‘Paris be a part of It' team is here to help you find the perfect apartments in Paris in line with your budget, size & preferred location. Linkparis.com is the premiere place on the web to book trips from Paris to Normandy, Mont Saint Michel, the Loire Valley and Champagne. Call free of charge from the US and Canada on 1-866-427-4882. 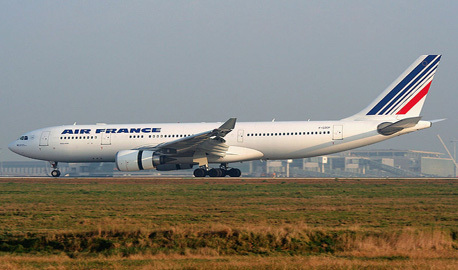 Paris Orly (ORY) Airport is an international airport located partly in Orly and partly in Villeneuve-le-Roi, 8.1 miles south of Paris, France. Paris-Charles de Gaulle (CDG) Airport Hotels welcome you to an amazing tour of the lovely surroundings of the Paris-Charles de Gaulle (CDG) Airport. Copenhagen Airport is the main international airport in Copenhagen. Located on the island of Amager, 5 miles from the city centre, CPH serves not just Denmark’s capital but also the Oresund Region. Welcome to Barcelona (BCN) Airport Hotels! You are invited to enjoy an amazing tour of the Barcelona (BCN) Airport surroundings, in Spain. The El Dorado International Airport serves Bogota, Columbia. It is actually the third airport in terms of passenger traffic and the largest Latin American airport for cargo movements.